EXECUTIVE LAKEVIEW BUNGALOW with fully finished walk-out basement in desirable Laurel Estates sub-div. High end home offers hardwood floors, granite countertops, custom cabinets, island kitchen, deluxe master bedroom with 5 piece ensuite including double sinks, walk-in shower & corner soaker tub. High 9 Ft ceilings throughout main floor, double sided gas fireplace in living room, large entry foyer with open staircase. 2nd bedroom on main can also be an office den. 2 large bedrooms downstairs with huge family room area also with a corner gas fireplace. Plumbing all roughed-in for an easily adapted in-law suite if required or a full wetbar for entertaining! bonus area under the garage can be a theatre room or workshop too. 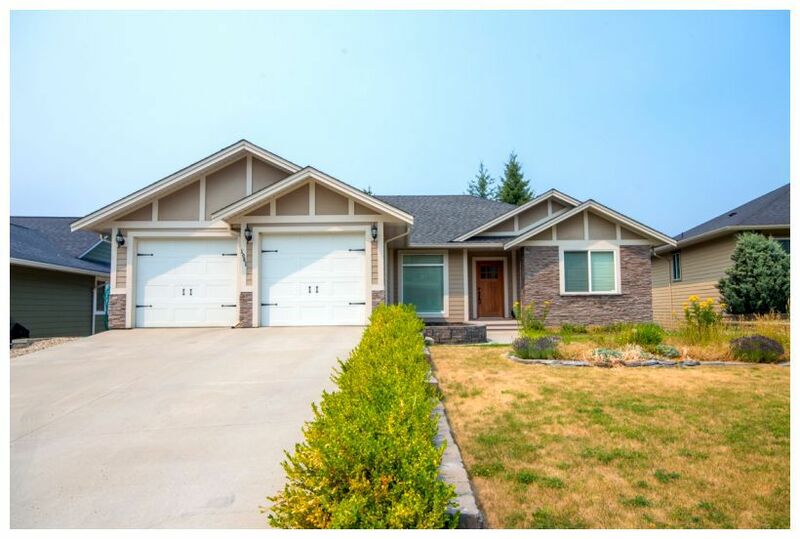 Main floor laundry with utility sink, B/I vacuum, Double attached garage, fully landscaped w/underground irrigation, High efficiency natural gas forced air furnace with Air Conditioning. Located in the Hillcrest school area, easy access to parks & trails.